1).To send another station a message, the main thing a user has to know is ______. 2).Among the following which statement isNOT true? a) Batch processing is still used today in older systems or in some systems with massive volumes of transactions. c) Online systems continually update the master file. 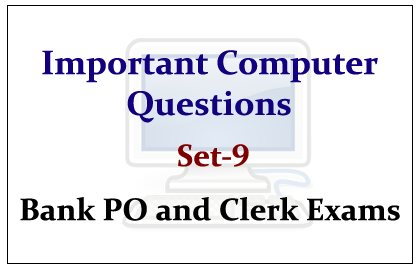 d) Information in batch systems will always be up-to-date. 3).What is the main folder on a storage device called_______. 4).Manipulating data to create information is known as_________. 5).Which of the following contains buttons and menus that provide quick access to commonly used commands? 6).For selecting or highlighting, which of the following is generally used? 7).Which of these is a point-and-draw device? 8).The letter and number of the intersecting column and row is the______. 9).Which among the following used a handheld operating system? 10).To display the contents of a folder in Windows Explorer you should________.